and congratulations on your forthcoming wedding! Our beautiful, vintage style, ivory convertible is the perfect choice in wedding cars and comes complete with hood and heater for all year round weddings. I’m Jayne your personal uniformed chauffeuse having spent the last twenty plus years providing wedding car hire in the Bristol & Bath region, it’s my experience and attention to detail that will make your day exceptional. I will be there to assist the bride with her dress, help organise the bridesmaids and pageboys at the ceremony and assist the boys with their buttonholes too. I would love to be involved in your wedding if it is within the Bristol & Bath region. To read more about our beautiful car and to check the availability for your planned wedding click the button(s) below. Absolute faultless, first class service, we cannot thank you enough Jayne! Thanks again for making our day so wonderful! Thanks again Jayne for helping to make our wedding day so brilliant! She was literally a star I can highly recommend Jayne and her beautiful car. 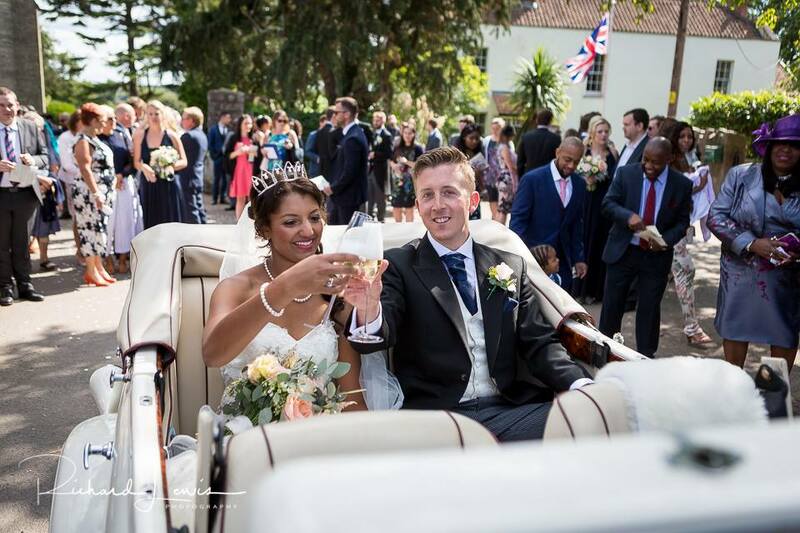 “Jayne chauffeured myself and my dad to the church from my parent’s house which was a 45min Drive and then myself and my husband from the church to Coombe Lodge which was another 30minute Drive in her beautiful car! The car was immaculate and very comfortable. Jayne was so lovely, professional and patient as well as a chauffeur she was like a personal assistant to me I had a very large dress which made getting in and out of the car a bit more difficult but Jayne talked me through exactly how I needed to get into the car and assisted me the whole time, she even went the extra mile to sort my dress and veil out once I got out of the car and also before I went into the church and also helped get my dress photo ready! She was literally a star I can highly recommend Jayne and her beautiful car. We highly recommend using England Finest Wedding Cars if you want to turn up in style and have the wow factor. We have been featured and reviewed by these partners, click each partner to read more. I love to blog about the couples I have chauffeured on their special day. Go make a coffee, settle into your favourite chair and read my wedding stories. I can’t wait to write your wedding story.